Last weekend I drove up to Richmond Virginia to attend the Equine Extravaganza. It is a horse expo for horse lovers of all ages. My friend Laura was riding in the judged Trail Competition Friday night so I went up to watch her compete against 19 other riders. The competition was judged by American's Most Trusted Horseman Mr. John Lyons. The weather was around 40 degrees with 30 mile an hour winds and we stood outside for about 3 hours straight trying to stay warm and have fun. All and all I think Laura did an amazing job and I was so glad I met the girls up there because it was their Birthday weekend so we celebrated and shopped! John Lyons on his beautiful Buckskin horse Gracie. My friend Laura Owen warming up for her upcoming Trail Competition. My friends Alli and Laura trying to stay warm while the competition is in progress. The girls from Cross View Farm trying to stay warm under a horse blanket. It was very cold. Laura at the start line of the competition. This big guy reminded me of Mr Ed! This was a young green Appaloosa horse getting warmed up for the Trail Competition. Laura and her beautiful Paint Horse Shawnee after the competition. We celebrated her Birthday after we had dinner and then went back to the Hotel. There was lots of shopping to be done at the Equine Extravaganza! I purchased a new Cowgirl Hat! There were some very talented artists at the Extravaganza. One of these days I'm going to bring home a cow hide for my house. They have some pretty unique die patterns now. I would probably want the original cow hide pattern but I thought these were pretty cool. I had to get at least one photo of my Flat Nitro at the Extravaganza. This was "Saddle Up" booth. These patterns are more my style. They usually run between $ 299 and $375 so the prices where really good if someone was in the market for cowhides. Brrr!!!! That must have been a cold day! I be the wind was what made it worse huh? The photos are awesome though. John's horse Gracie is stunning! I love your choice to not do them in full color. Somehow makes them even more beautiful. I have to say the one of Mr Ed was awesome. Loved the angle. 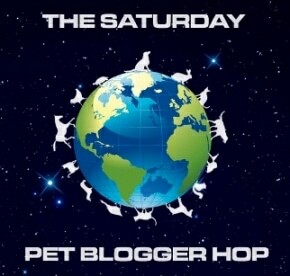 Saturday Pet Blogger Hop - Tallulah!